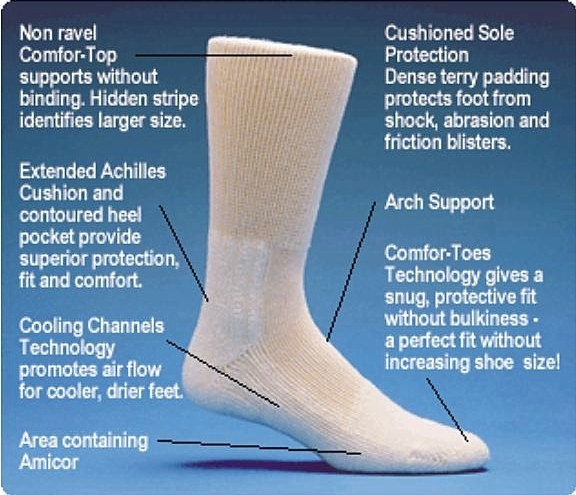 Salk's HealthDri Diabetic Socks offer advantages that other products on the market are missing. 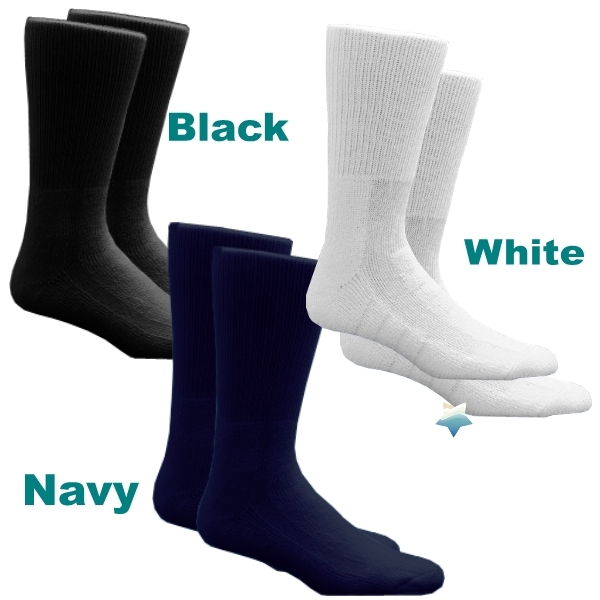 These socks for diabetics provides superior protection, fit and comfort for cooler, drier feet. Salk's diabetic socks features cushioned sole protection made of dense terry padding that protects the foot from shock, abrasion and friction blisters. 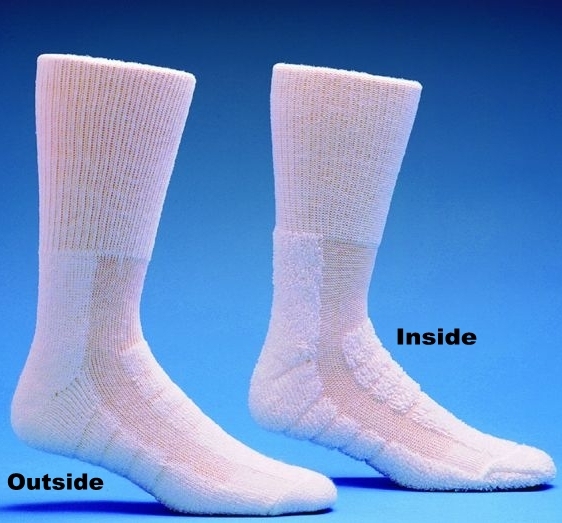 The diabetic socks for men and women are made with Amicor microbial fibers to control odor that won't wash out. Acrylic Socks are available in White, Navy, or Black. Choose size and color below. Non ravel Comfor-Top supports without binding. Hidden stripe identifies larger size. Cushioned Sole Protection Dense terry padding protects foot from shock, abrasion and friction blisters. Extended Achilles Cushion and contoured heel pocket provide superior protection, fit and comfort.